You’ve probably heard of the “CORE” and how “Important” the “CORE” is, and how we should “Strengthen” our“CORE”, and so on. But what (where) is the “CORE”, exactly? Again, the “CORE” is such an ambiguous term, the definition would slightly differ among health professionals. These are just a few of the examples when I did a google search, “core, body”. As you can see, everyone has their own way of describing the “CORE”. As much as it is nice to be able to see it visually, you might be left confused if you encounter more than one of these images. What should YOU know about the“CORE”? 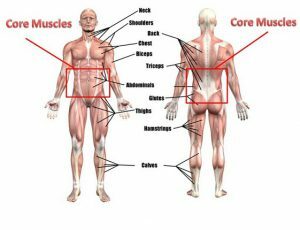 Would knowing which specific muscles compose the“CORE” make you strong? Maybe? Maybe not? You already know the “CORE” is important so you know you want to strengthen it, right? wouldn’t you want to know the reasoning behind why the “CORE” should be strong? If you know the “why” you would easily understand “where” and “what” to focus on when trying to build a strong “CORE”. I’ll tell you the “why” today. Our body has sets of muscles that work together. These “sets” of muscles are what a simple movement like walking to a complex movement like throwing or swimming. This may be referred to as “Functional” movements. 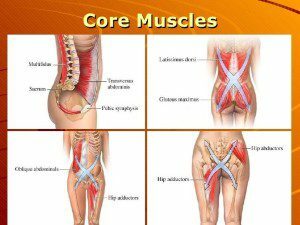 However, in order to ignite the power of these muscles systems properly, the “CORE” MUST STAY STABLE. You can see the purple line in the above transfers through the central part of the body. If that central part is unstable, power cannot transmit through. In other words, my definition of the “CORE” is the group of muscles that get’s your body ready to exert optimal strength & power. 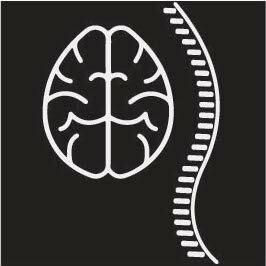 Strength comes from big muscles in our body, but without a strong enough core engagement, we can’t switch our well-engineered muscles systems on the way we hope to.